(MoneyWatch) Social Security benefits are the bedrock of most Americans' retirement security. So it's well worth your time to learn how to get the most from these valuable benefits -- and avoid making mistakes in how you collect them. To help you in this endeavor, I checked with two of the nation's foremost experts on Social Security: Andy Landis, author of "Social Security: The Inside Story," and Jon Peterson, who wrote "Social Security for Dummies." Between Andy, Jon and I, we came up with four common errors that you should avoid and that will help you optimize your Social Security benefits. Half of all Americans claim Social Security at age 62, the earliest possible age with the lowest monthly benefit. But most workers can significantly boost their lifetime payout of Social Security income by delaying the start of their monthly benefits. By how long? At least until age 66, and to age 70 if you can wait that long. For many married couples, this strategy will also improve the financial security of widows who, when their husband dies, will step up to the Social Security income their husband was receiving before he died. I realize that many people lose their jobs and claim Social Security benefits early to make ends meet. But personally, I'd take any job that would pay me an amount equal to my Social Security benefits in order to reap the advantage of delaying my benefits as long as possible. I'd work at Wal-Mart (WMT), Starbucks (SBUX) or any other part-time job that pays enough to replace my Social Security benefits, while giving me enough free time to look for a better-paying position. In the long run, it's a financially smart move. "Some people think they must hurry to apply now, before Social Security runs out of money or before reforms make them ineligible," Landis said. "In fact, Social Security is projected to have the money it needs to operate at the current level for over two decades. And nearly all reforms on the table will apply to younger generations, not those currently retiring. So calm down and follow your best plan for claiming Social Security benefits." "Many people fail to coordinate claiming benefits with their spouse, and they miss opportunities for married couples to optimize their payouts," Peterson pointed out. These strategies usually entail starting Social Security benefits at different times for the husband and wife, whereas many married couples start their incomes at the same time. One common strategy is to delay benefits as long as possible for the highest earner -- often the husband -- for the reasons described above. The wife might then claim benefits at an earlier age to have some retirement income coming in. Whether the optimal age to start the spouse's benefits is age 62 or age 66 (the official retirement age to collect full benefits) depends on your particular circumstances, such as the age difference and relative career earnings history of each spouse. Two online services that can help married couples optimize their claiming strategies are www.socialsecuritychoices.com and www.socialsecuritytiming.com. Many self-employed people under-report their taxable income for Social Security purposes, or use tax deductions to minimize their taxable income, on the assumption that paying any taxes is bad. But "This can hurt if you want Social Security benefits one day -- including disability benefits, in the case of unexpected illness or accident," Peterson said. I know a number of self-employed people who've minimized their Social Security taxes over the years and are now reaching their retirement years with little or no retirement savings and severely reduced Social Security benefits. Now they regret this strategy and will need to keep working indefinitely. According to one analysis, Social Security taxes are actually a good investment, so don't automatically think it's a good idea to avoid paying these taxes. 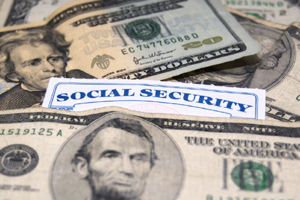 These are just a few of the mistakes that people routinely make in drawing Social Security. Stay tuned for future posts on how best to use the federal program. It's well worth your time to learn all you can about Social Security benefits; it can result in increasing the lifetime payout for both you and your spouse by many thousands of dollars.